SIZES Available sizes - All sizes are standard frame sizes 11""x14""
HP Latex environmentally friendly plant ink, excluding heavy metals, toluene, xylene and other harmful substances, access to WEEE, EU ROHS, REACH, UL and other international top environmental certification, the product does not have any smell, to ensure your health and environmental protection; Quality high-definition, can be used for many years does not fade, permanent collection of your memories. Print on soft imitation leather instand of paper,can be used over 75years, permanent collection of your memories. 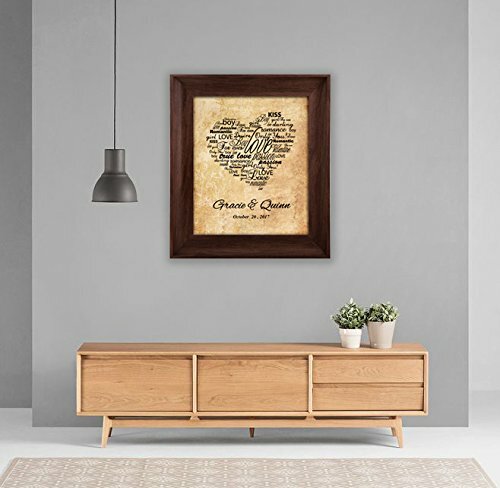 Homokea make the best personalized keepsake for Weddings gifts, Anniversaries gifts, Bridal Showers, Family Reunions, wall art decorations etc. If you have any questions about this product by Homokea, contact us by completing and submitting the form below. If you are looking for a specif part number, please include it with your message.